Hello! My name is Joy Smith and I am a junior Photography major. While at Gardner-Webb, I have had the pleasure of experiencing many new things. Most of these things have been thanks to the Honors Student Association. I am very involved in Honors as I am on the Executive Committee where I hold the position of Publicist. The biggest event of the year is Big Sweep. 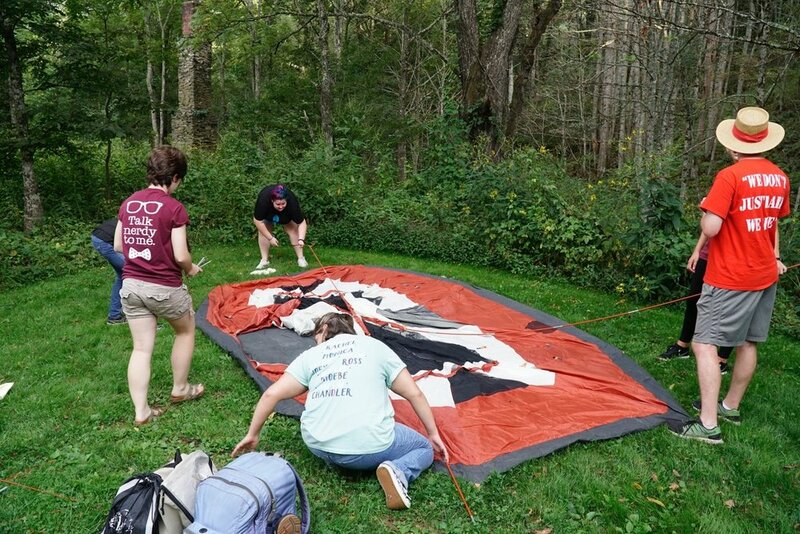 Honors students have the opportunity to go camping in West Jefferson every year during the first weekend in September. On Saturday, we canoed the New River and picked up as much trash as possible. There are three different routes everyone takes. One group starts out at Zaloo’s Canoes and ends at our campsite. Another group starts further up the river and ends at Zaloo’s Canoes. The final group begins at our campsite and goes down the river to Gentry Bridge. Canoeing is a very fun experience! Picking trash up while trying to navigate the canoe makes everything much more interesting. There is an unspoken competition between everyone that goes to see who can get the best item. This year the most notable finds were a water heater and a recliner. My canoe partner and I found a very large tire and were very proud of ourselves. Overall, we found around 50 tires! Big Sweep is the social event of the year for Honors. For a lot of freshmen, they have only met the people in their university class. Big Sweep gives them a chance to meet Honors freshmen from the two other university classes as well. 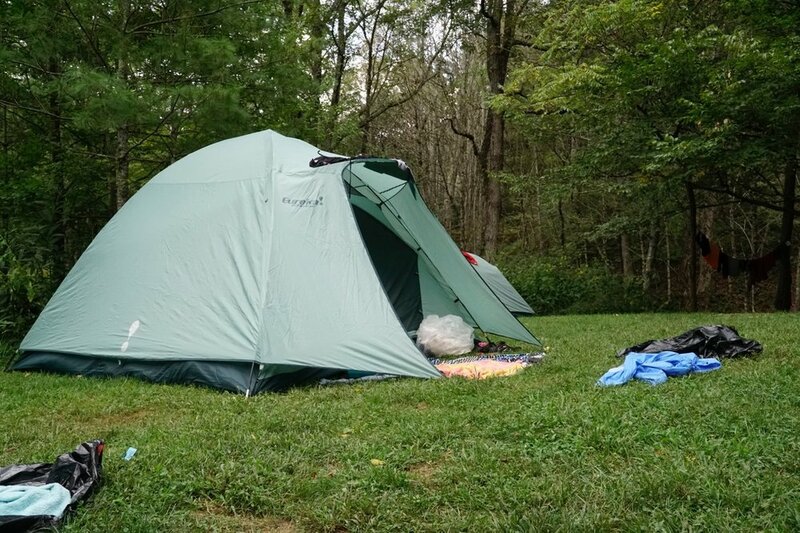 For many students they have never been camping before so they get the opportunity to experience sleeping in a tent. Everyone takes turns preparing meals and cleaning up. On Friday night we had tacos and on Saturday night we order pizza to the campsite. We roasted marshmallows and made s’mores around the campfire on Saturday night, and listened to the Upperclassmen tell their favorite GWU stories. On Sunday, we pack up and go to a local church where we have our own church service. Students volunteer to lead a devotional as well as sing a hymn. 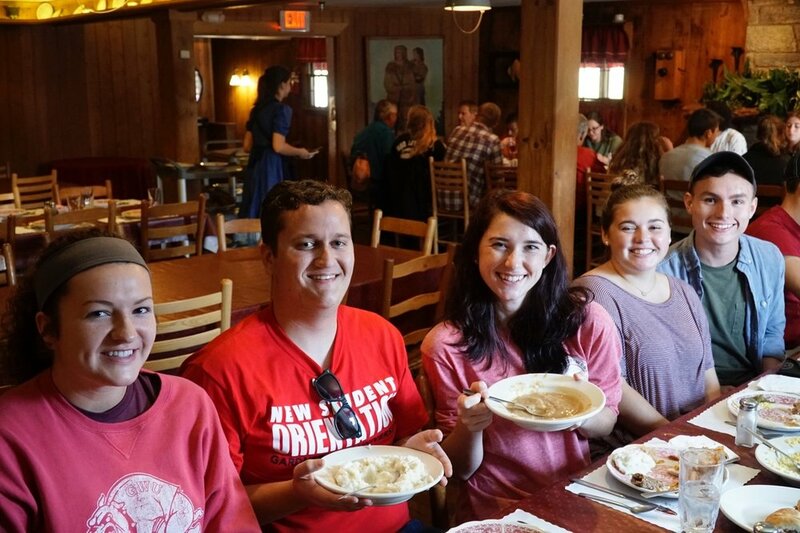 Then, we head to the Dan’l Boone Inn in Boone, N.C. where we get to eat a wonderful family style meal. We get the entire second floor to ourselves and the staff are always so accommodating and nice. 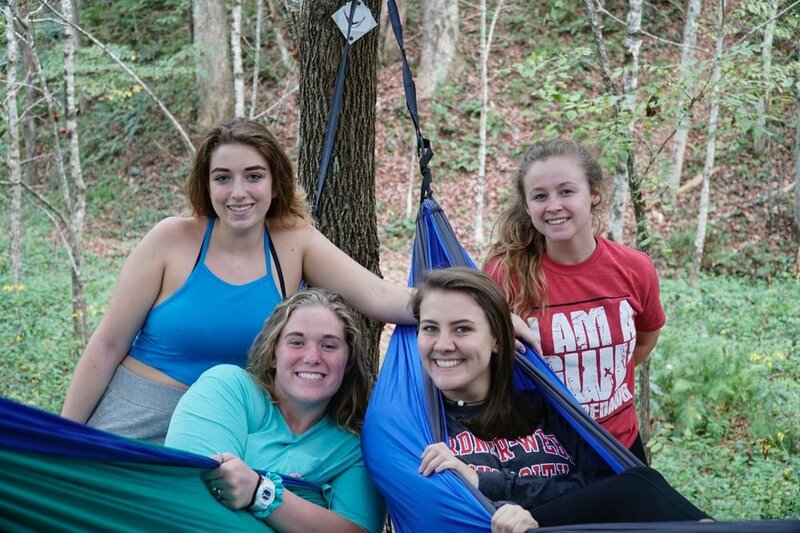 I’m not much of a camper, but being around friends, helping the environment, and getting a weekend away from school is tons of fun. While canoeing down the river there were multiple local people that asked us where we were from and what we were up to. They were all so appreciative of what we were doing, it made the experience even better. Even if you don’t like nature or camping, Big Sweep is unlike anything you’ve experienced before, and it would be worth your time to give it a chance!